This post concludes our series overviewing Stanislav Grof’s 2010 Moscow lecture, The Consciousness Revolution: New Perspectives in Psychiatry, Psychology, and Psychotherapy. Grof explores spirituality in human life. If you missed them, read our previous posts, The Conscious Revolution: New Perspectives, The Nature of Consciousness and its Relationship to Matter, New Map of the Psyche, New Methods for Psychotherapy, and Strategy for Self Exploration. All text taken directly from the transcript is in italics. Click here for a free PDF of Grof’s lecture. Just as the conventionally accepted understanding of human consciousness has been defined in material terms, Western scientific principles are also grounded in physical, measurable reality. The leading philosophy of Western science has been monistic materialism. Various scientific disciplines have described the history of the universe as history of developing matter and accept as real only what can be measured and weighed. Life, consciousness, and intelligence are seen as more or less accidental side-products of material processes. Grof claims that many scientists recognize the existence of dimensions of reality that are not accessible to our senses, but only those that are physical in nature are seriously studied using the modern tools that we have developed. In a universe understood this way, there is no place for spirituality of any kind. The existence of God, the idea that there are invisible dimensions of reality inhabited by nonmaterial beings, the possibility of survival of consciousness after death, and the concept of reincarnation and karma have been relegated to fairy tales. Beliefs in gods and goddesses are viewed as superstition, infantile fantasy, or magical thinking; and transcendent experiences are interpreted as psychotic states. Research with holotropic states has changed some of this conventional thinking. …in these states it is possible to encounter a rich array of experiences which are very similar to those that inspired the great religions of the world – visions of God and various divine and demonic beings, encounters with discarnate entities, episodes of psycho-spiritual death and rebirth, visits to Heaven and Hell, past life experiences, and many others. Modern research has shown beyond any doubt that these experiences are not products of pathological processes afflicting the brain, but manifestations of archetypal material from the collective unconscious, and thus normal and essential constituents of the human psyche. Historically, science and religion have been addressing differing and noncompeting territories of existence. 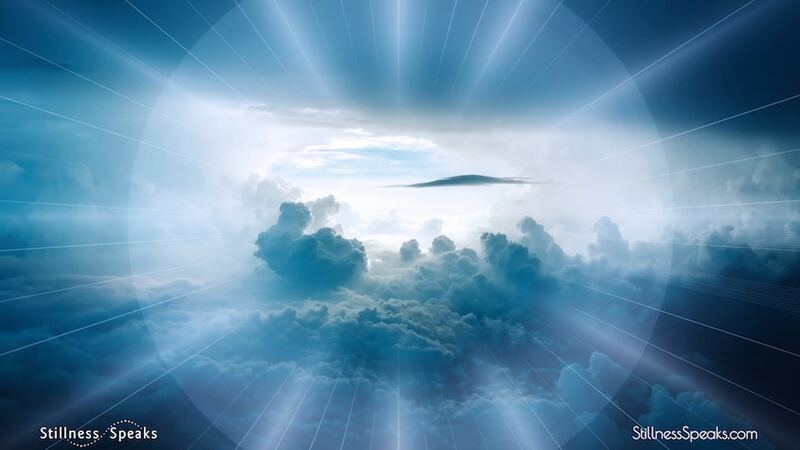 Science studies phenomena in the material world, the realm of the measurable and weighable, spirituality and true religion draw their inspiration from experiential knowledge of the imaginal world as it manifests in holotropic states of consciousness. The conflict between science and religion is based on the erroneous belief that these abodes of the Beyond are located in the physical universe – Heaven in the interstellar space, Paradise somewhere in a hidden area on the surface of our planet, and Hell in the interior of the earth. Astronomy and geology have proven that these mythic realms do not physically exist. Transpersonal and holotropic states however indicate that archetypal images and understandings have an ontological reality; but this archetypal material appears through the unfiltered and imaginal realm of the unconscious. Modern studies of holotropic states have…shown that Heaven, Paradise, and Hell are ontologically real; they represent distinct and important states of consciousness that all human beings can under certain circumstances experience during their lifetime. An astonishing aspect of transpersonal experiences occurring in holotropic states of various kinds is that their content can be drawn from the mythologies of any culture of the world, including those of which the individual has no intellectual knowledge. C. G. Jung demonstrated this extraordinary fact for mythological experiences occurring in the dreams and psychotic experiences of his patients. These observations caused C.G. Jung to realize that there is not only a personal unconcious but also the collective unconscious, which is a repository of the entire cultural heritage of humanity. 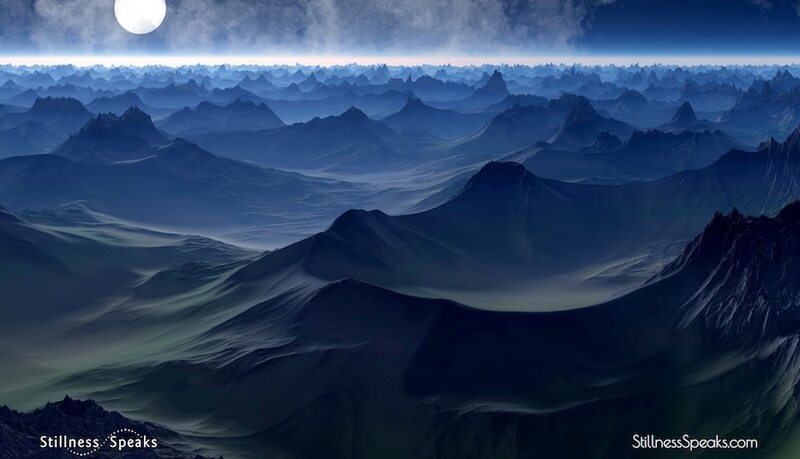 Many of these experiences have a certain quality that Jung referred to as numinosity.…The term numinosity … describes direct perception of transcendent experiences that are extraordinary in nature. They convey a very convincing sense that they belong to a higher order of reality, a realm which is sacred and radically different from the material world. The numinous perception flows directly through our most inner and profound being, and is experienced as the sacred. Spirituality involves a special kind of relationship between the individual and the cosmos and is, in its essence, a personal and private affair. Is there a difference between the mystic and psychotic? Western psychiatry makes no distinction between a mystical experience and a psychotic experience and sees both as manifestations of mental disease…. 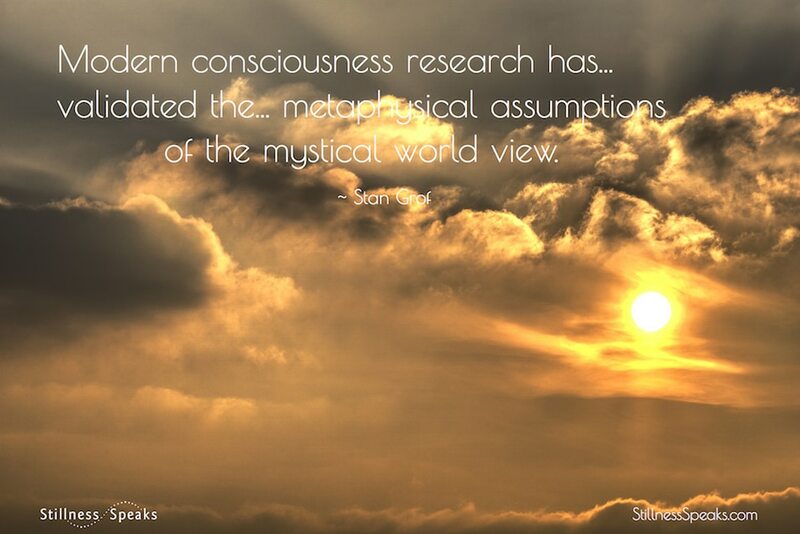 Modern consciousness research has brought convincing evidence for the objective existence of the imaginal realm and has thus validated the main metaphysical assumptions of the mystical world view, of the Eastern spiritual philosophies, and even certain beliefs of native cultures. In conclusion, Grof turns briefly to the extensive research that he and Richard Tarnas have done around transit astrology and holotropic states. Rick and I have jointly explored astrological correlations of holotropic states… This cooperation has brought convincing evidence that there exist systematic correlations between the nature, timing, and content of holotropic states of consciousness and planetary transits of the individuals involved. Click here to download a free PDF of the transcript of Grof’s lecture. Visit Stan Grof’s Teacher Page for more information about Stan and his extensive research into the healing and transformative potential of non-ordinary states of consciousness. Additionally, he has had significant influence on the integration of science and transpersonal psychology. The Consciousness Revolution is sourced from Stan’s website.